Sprout is a soft, cushy organic yarn with a slightly nubby texture. One of its best features is that it stays lofty, unlike many worsted-plus weight cotton yarns that tend to be heavy and dense once knit. 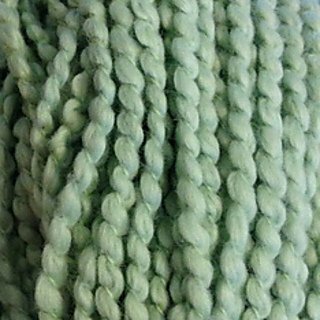 Sprout is spun from Tanguis cotton. This stout hardy cotton plant was developed in the early 1900’s. The plant’s ubiquitous presence and dependability have earned it the title “white gold” from the farmers who plant and harvest it. Sprout is available in a bright-and-lively palette and it’s machine washable. Add to this the wonderful soft texture, strength, and the light yet quick-to-knit gauge and it is easy to see why Sprout makes a great choice. Sprout is part of the Verde Collection of environmentally conscious yarns.